"In this country, we've sort of lost hope in making progress against hunger and poverty. But it's very doable." On the April 4, 2008 edition of BILL MOYERS JOURNAL, David Beckmann of Bread for the World addressed the issue of global hunger. He's back to talk about the problem of hunger within the United States. Beckmann is a part of the Alliance to End Hunger which takes as a fundamental tenant that "Ending hunger is the responsibility of individuals, the private sector, communities, civil society and government." Beckmann and other members of the Alliance stress the importance of both government and individual action  and are concerned with the imminent re-authorization of the 2002 Farm Bill. >Learn more about the hunger in America and the debate over the Farm Bill. Watch Beckmann on world hunger. David Beckmann has been president of Bread for the World for 15 years, leading large-scale and successful campaigning to strengthen U.S. political commitment to overcoming hunger and poverty. Before that, he served at the World Bank for 15 years, overseeing large projects and driving innovations to make the Bank more effective in reducing poverty. Beckmann is also president of Bread for the World Institute, which does research and education on hunger-related issues, including agriculture and trade policy. He founded and serves as president of the Alliance to End Hunger, which engages diverse U.S. institutions � Muslim and Jewish groups, corporations, unions and universities � in building political will to end hunger. Beckmann earned degrees from Yale, Christ Seminary, and the London School of Economics, and five universities have awarded him honorary doctorates. He is a clergyman as well as an economist. 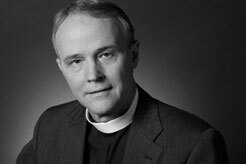 He is the author of TRANSFORMING THE POLITICS OF HUNGER AND GRACE AT THE TABLE: ENDING HUNGER IN GOD'S WORLD. Published on April 11, 2008. THE JOURNAL takes viewers on the ground in the Democratic Republic of Congo to follow aid workers and local relief efforts that are bringing hope to a forgotten land. "The aid agencies are almost substituting for a social welfare system that hasn't operated in these areas for decades," says Dominic MacSorley, Emergency Director for Concern Worldwide, an international aid organization. Bill Moyers talks with author Barbara Ehrenreich about inequality in America. NOW WITH BILL MOYERS' 2002 broadcast "Life on the Edge" told the stories of families living in Oregon, a state found by the U.S. Department of Agriculture to have a high rate of "food insecurity" and hunger. Bread for the World is a nationwide faith-based citizens' movement against hunger that mobilizes a quarter of a million constituent letters to Congress each year. Since 2000, the organization has helped to double U.S. funding for poverty-focused development assistance. Bread for the World has also helped to win increases in nutrition assistance for food-insecure people in the United States since the late 1990s � to a total that now exceeds $50 billion a year. Their Web site includes facts and figures on hunger and issue briefs. The Alliance Against Hunger is a national anti-hunger campaign that brings together people of conscience across all faiths, cultures, and political ideologies. Among the goals of the Alliance are: Ending hunger in the United States and worldwide is attainable in a decade. Ending hunger requires a strong public commitment and greater leadership from the U.S. government. Ending hunger is the responsibility of individuals, the private sector, communities, civil society and government. When authorizing The Food Stamp Act as part of his War on Poverty, LBJ stated "It is one of many sensible and needed steps we have taken to apply the power of America's new abundance to the task of building a better life for every American." In 2007, an average of 26.5 million people used food stamps each month. In 2002, when the World Food Summit: five years later convened to look at progress, delegates became acutely aware of the need to work together to accelerate the global effort if they were to reach the Food Summit and Millennium Development Goals. The International Alliance Against Hunger is a consortium of local, national and international governmental and non-governmental organizations. The state of food insecurity in the world reports on global and national efforts to reach the goal set by the 1996 World Food Summit: to reduce by half the number of undernourished people in the world by the year 2015. Facts about this specific campaign to end hunger with a link to sign the world hunger petition. Concern America is an international development and refugee aid organization that provides long-term, community-based development and support to economically impoverished communities throughout the world. Data and publications regarding research on solutions to poverty and hunger with links to resources for global research on agriculture, hunger, poverty and the environment. The ONLINE NEWSHOUR takes a look at the goals of the World Food Summit. UNICEF end-of-decade review (1990-2000) of child malnutrition and its impact. Contains information to learn more about what causes hunger and where it exists in the world. Resources on diseases and problems emerging from malnourishment. What's in the farm bill? And, what's behind the debate over its passage. Why are America's food banks suffering shortages? Find out what you can do to help. Bill Moyers talks with the president of Bread for the World about the challenges of combatting hunger.